Wanted to share the lovely gift from my mother. 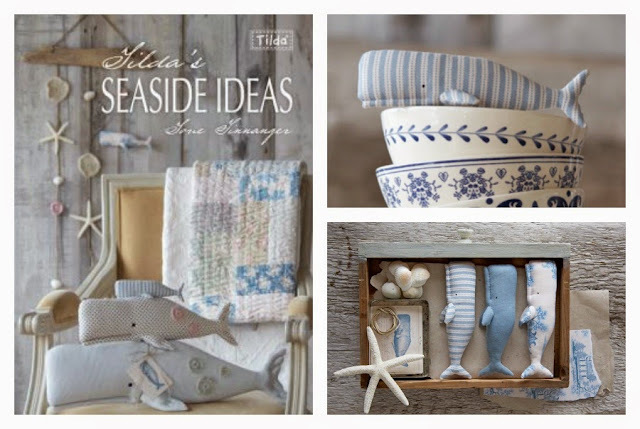 She saw a Tilda whale for Anna. 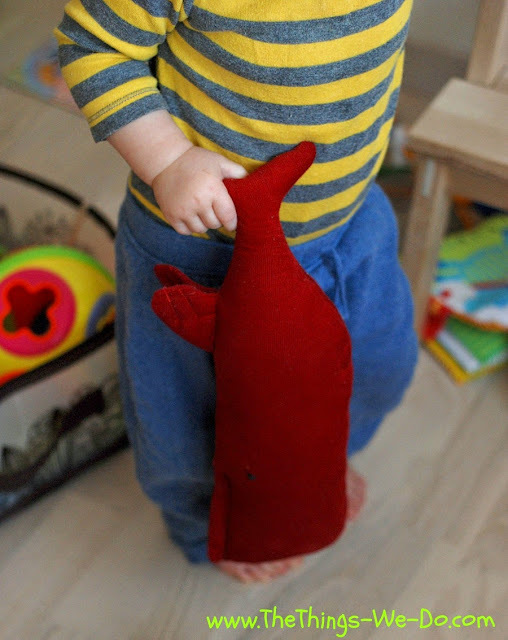 The stuffed toy is made of red corduroy fabric. Baby Anna was really fascinated with the gift from her grandmother. In the book you can choose from three sizes of the whale – small, medium or large. 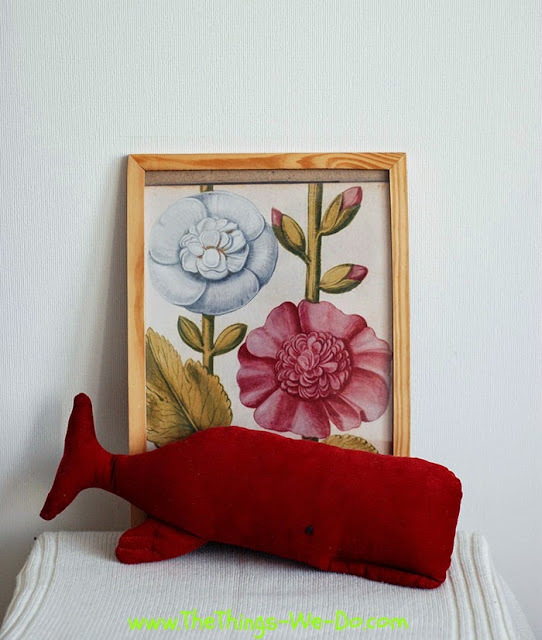 Our red corduroy whale is medium size and measures 13×4,5in (33x12cm). The toy is big enough for small hands to grasp it tight, it is very soft and pleasant to hug and can be a great sleeping pal during the night time. 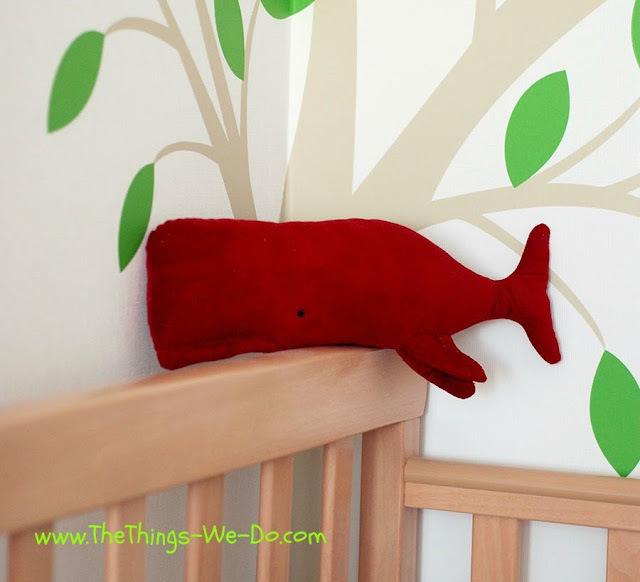 I snapped a few photos of the Tilda whale in the baby room interior and some pics of Anna playing with it. Enjoy!